Join our mailing list to receive DISCOUNT COUPON CODES. WE HAVE SLASHED OUR CALENDAR PRICES FOR THE HOLIDAYS!!! 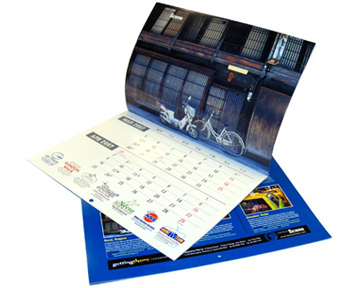 Full Color Calendars allow you to position yourself in the eyes of your customers for 12 months out of the year with only a one time printing expense. Full Color Calendars are the easiest way to build recognition by placing your name and/or logo, where it will be seen for a whole year. We can take your photos of friends, family, pets and vacations and turn them into a lasting and beautiful memento. Full Color Calendars are also a great way to show of your (or your little one's) artwork.